Good oral hygiene begins at birth! Pediatric dentists recommended cleaning your baby’s gums - even before the first tooth appears - with a soft infant toothbrush. 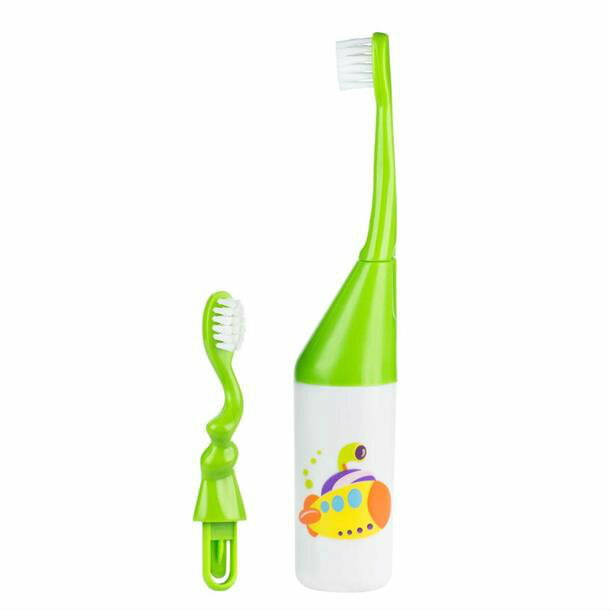 Cleaning teeth and gums properly with kidsme Easy Held Toothbrush Set. 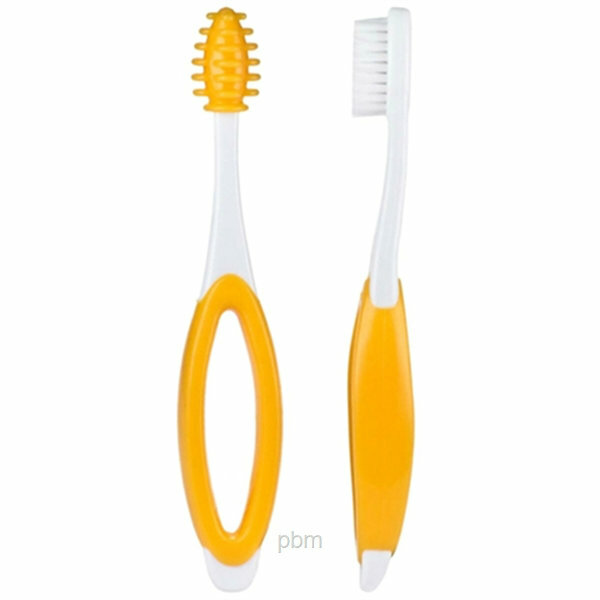 The Rubber Bristles Brush has soft bristled brushyou’re your baby’s gentle cleaning while soft and rubbery First Brush is for cleaning newborn babies’ teeth to remove sugars and bacteria that lead to future decay.